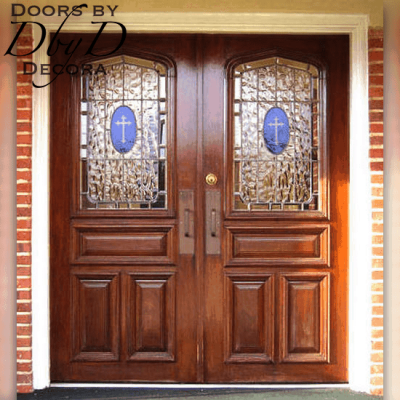 It seems like there are many sites offering “Church Doors for Sale”, but at Doors by Decora, we do so much more than just sell you a door. 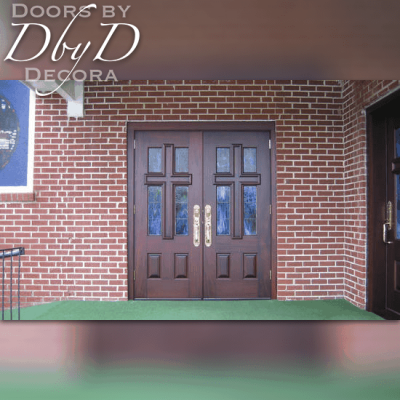 The church doors for sale on our website are all examples of doors that we have constructed and sold to other churches just like yours. 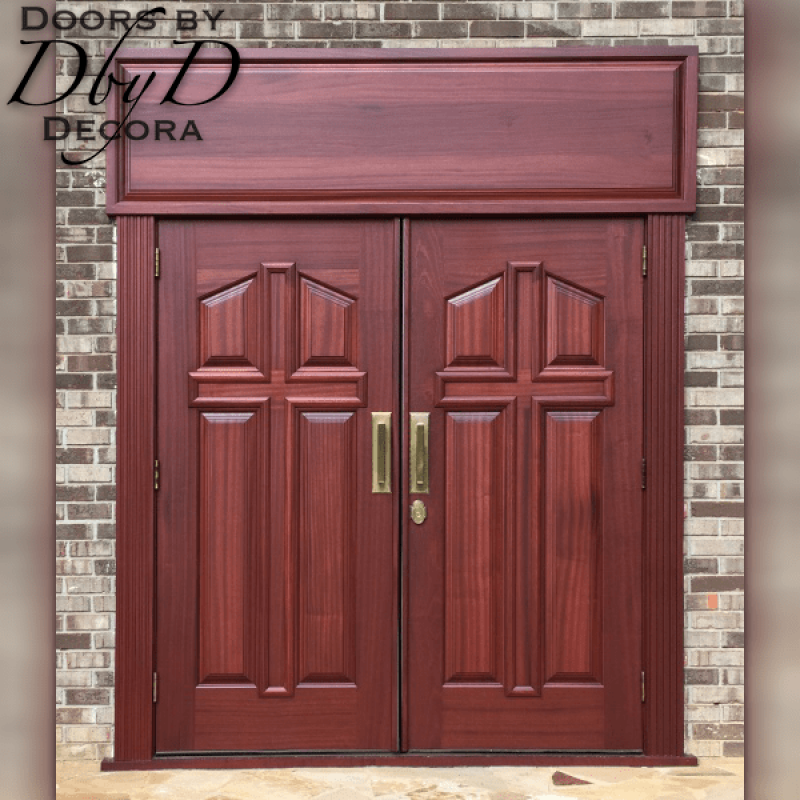 The difference, is that each of our doors are custom designed, built, and often times installed by our very own employees. 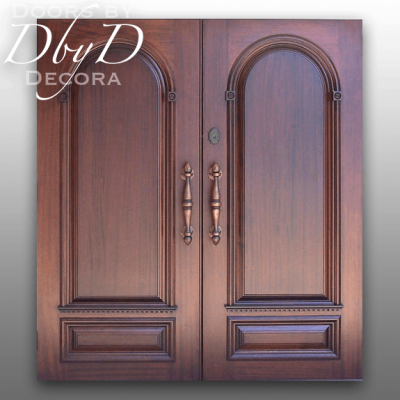 Doors by Decora’s church doors for sale are a fundamental part of our Church Collection. 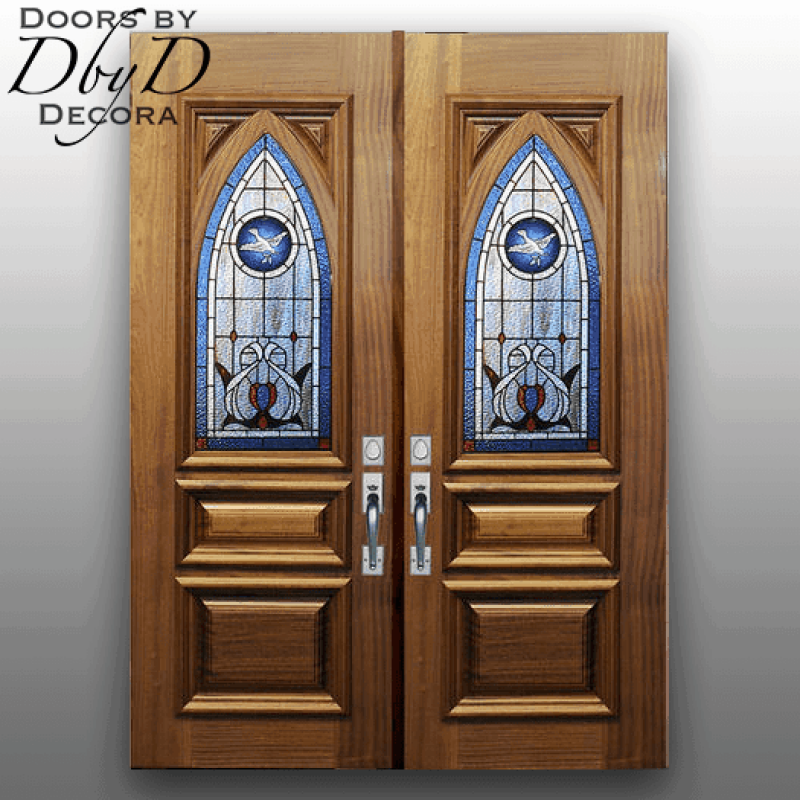 Frequently, you will see these doors characterized by beautiful stained glass and/or solid wood panels. You can see a few of our favorite church doors below or View All Church Doors. 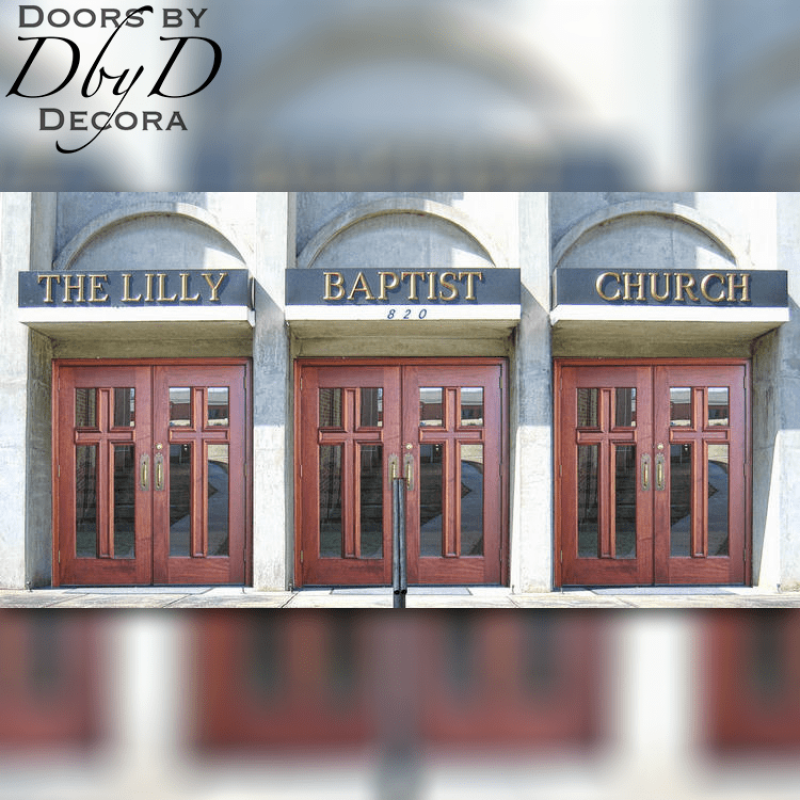 Almost every church has its own, unique, identity and you will find that all of our doors also have their own, unique, identity. Because we build every unit specifically for each customer, we are able to customize each unit to fit your specific needs. 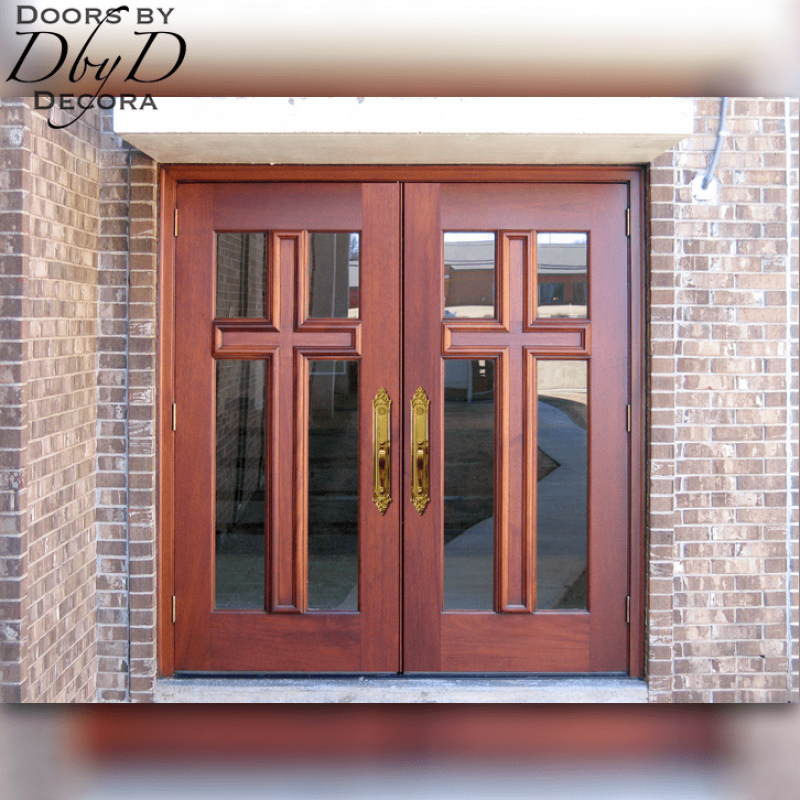 As a result, you will see that it is hard to find two of our doors that are exactly alike. 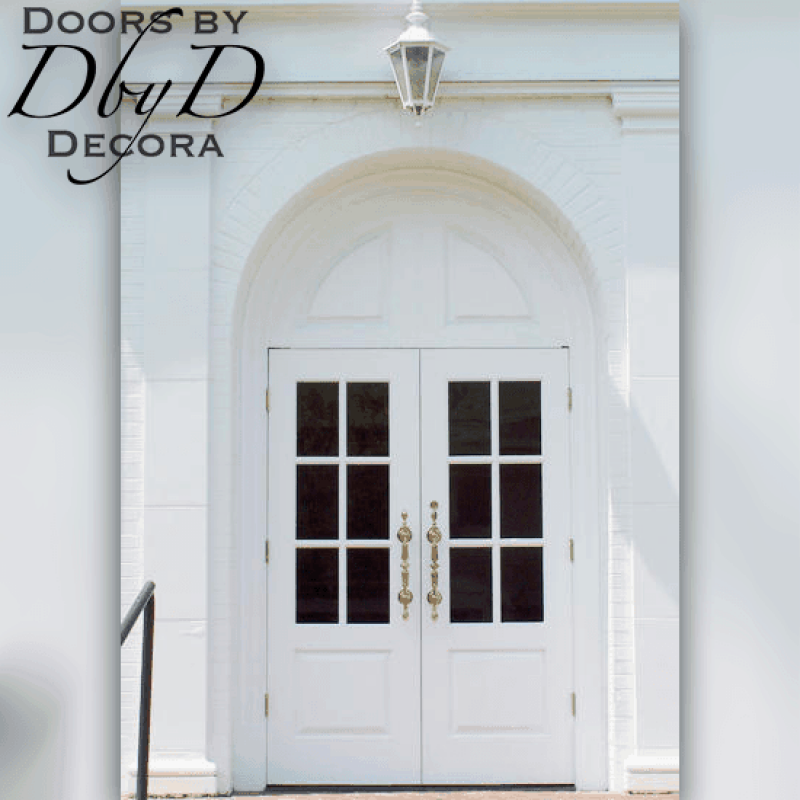 Additionally we use many design elements to help our church doors stand out from the competition. 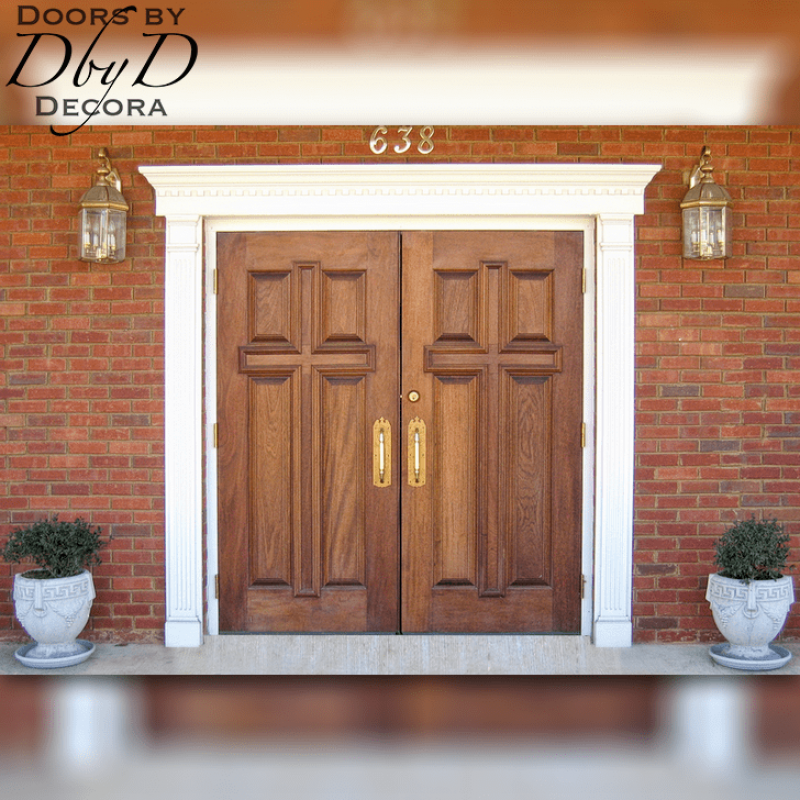 First of all, every door is uniquely designed to fit your specific design and construction needs. 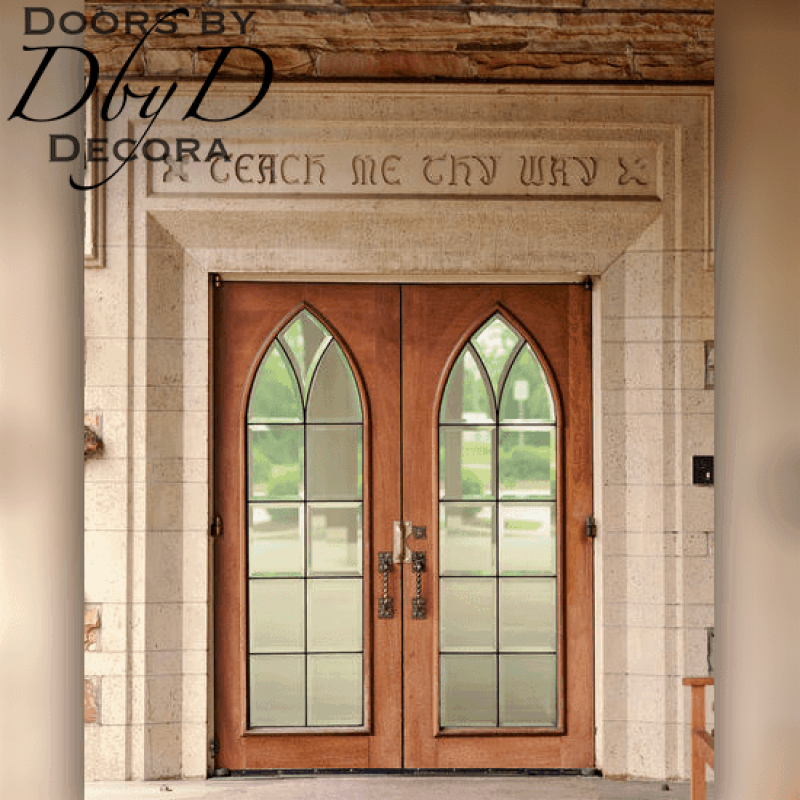 We can add beautiful gothic arches or rearrange our raised molding to form the shape of a cross. 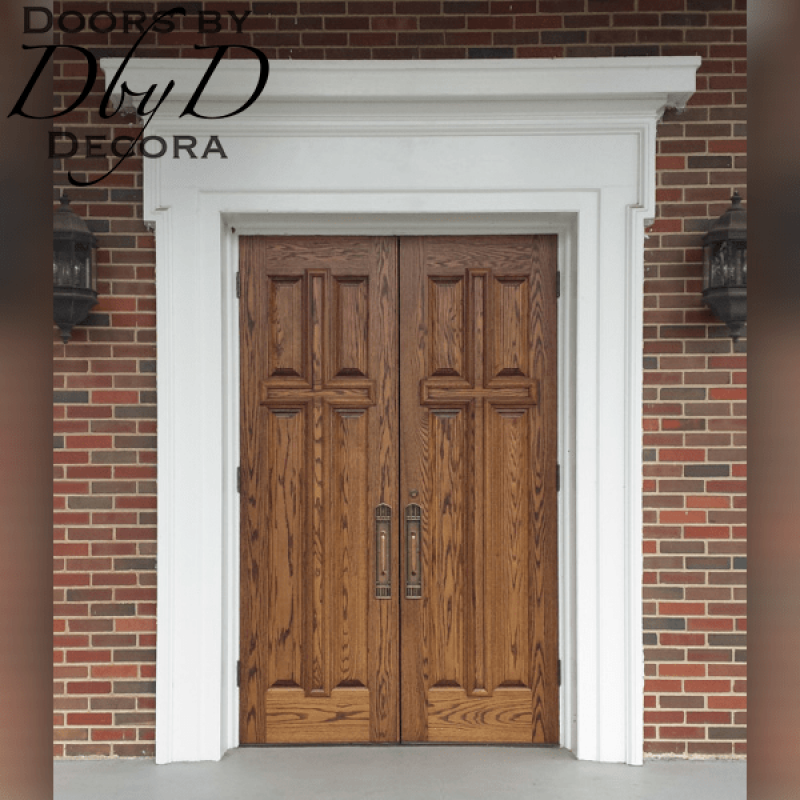 Furthermore, since we are custom designing and building each of our church doors for sale, we are able customize any of our styles to fit your needs. 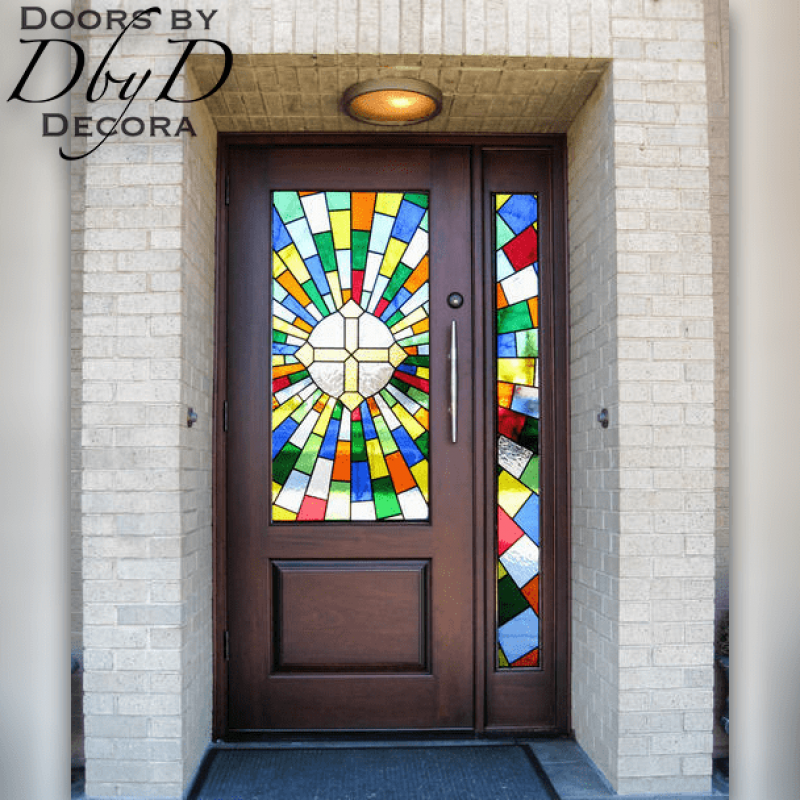 You’ll find that our customers love our in-house glass studio where our very own stained glass artisans build all of our stained glass individually for your door or window. These designs can be simple designs containing just beveled glass designs, or intricate designs with bold colors added to the design. But most of all, they will reflect the unique message you are trying to convey. Many of these details are featured in the doors below, or you can view all of our Church Doors.